Russell Island was named after the British Secretary of State for Colonies, Lord John Russell. In 1871-72 farm lots were sold on the island, the quality of the soil being a strong attraction. Sugar cane and pineapples were grown, and cattle and pigs were raised. A sawmill was kept supplied from natural stands of trees on the island. In 1916 a primary school was opened drawing children from the four islands. Fruit and vegetables were grown for the Brisbane market in the 1920s-30s. The middle of Russell Island contains Turtle Swamp, mainly heath land, and the southern part has sandy soil with a trace of wallum country. Subject to tidal inundation in places, much of it was speculatively subdivided in the 1970s, culminating in a criminal trial for conspiracy in 1981-83. Russell Island has local shops, a primary school, a hall, a church and a bowling club. Its census populations have been 108 (1921) and 158 (1961). Later census figures are for the combined Russell-Macleay Islands. Russell Island is located on the calm sheltered waters of Southern Moreton Bay, only 45 minutes from Brisbane Airport and the city centre. Russell Island is the largest of the group of islands clustered together between mainland and Stradbroke Island. It is eight kilometres long and three kilometres wide and has a population of little over 4000 people. Access to the mainland is either by water taxi, which takes approximately 20 minutes and runs half hourly, or by vehicular barge for those wishing to transport their car across. 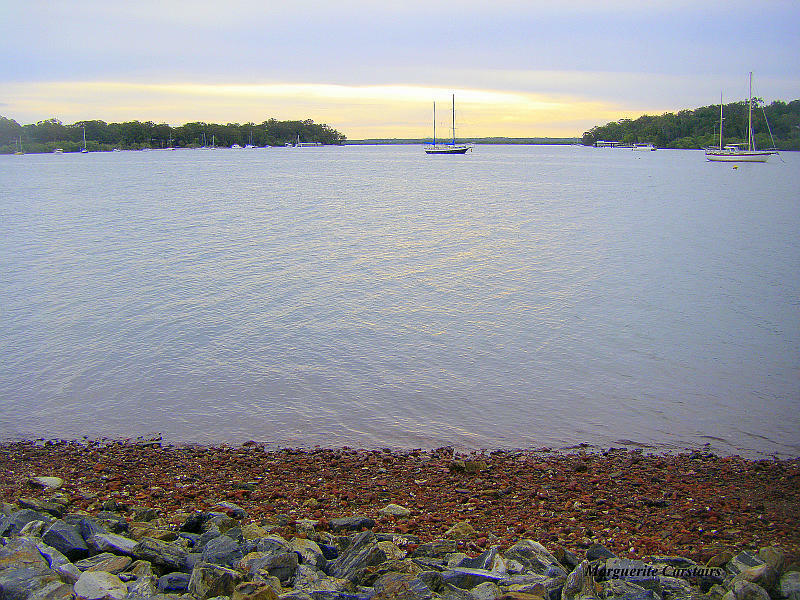 The ferry departs from Banana Street at Redland Bay and the vehicular barge departs from Weinam Street Redland Bay. The islands are famous for their diverse fauna and flora and parts of Russell have been decreed areas of conservation by the Redland Shire. The weather is generally quite mild with the daytime temperature being 18 to 22 degrees in winter and 22 to 32 degrees in summer. The year-around temperature being mostly 23 to 26 dgerees.